This Easter, a friend of mine requested some custom pieces for her granddaughters, including an elephant lovely and a platypus. 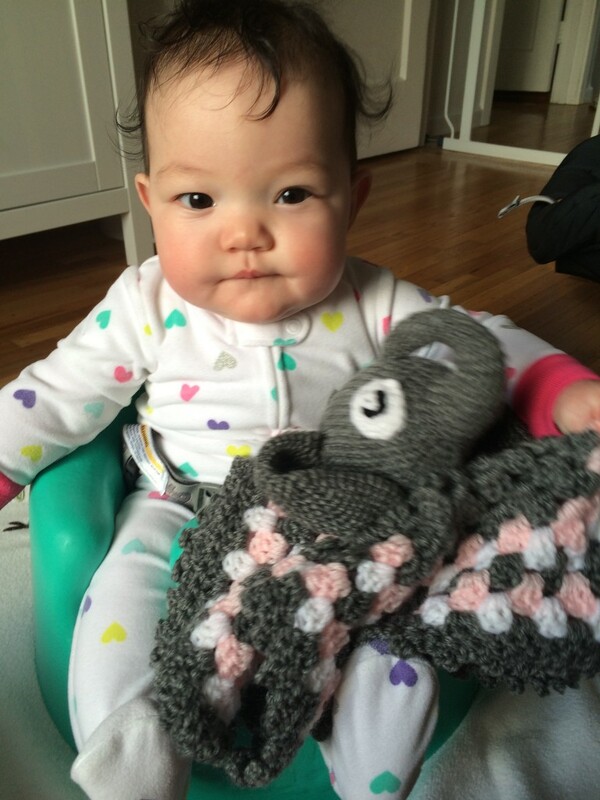 Silly me forgot to take pictures beforehand, but she sent me some photos of baby Madeleine with her new elephant lovely! I purchased this adorable pattern from Etsy shop Ham and Eggs. I highly recommend it; easy-to-follow and worked up quickly. 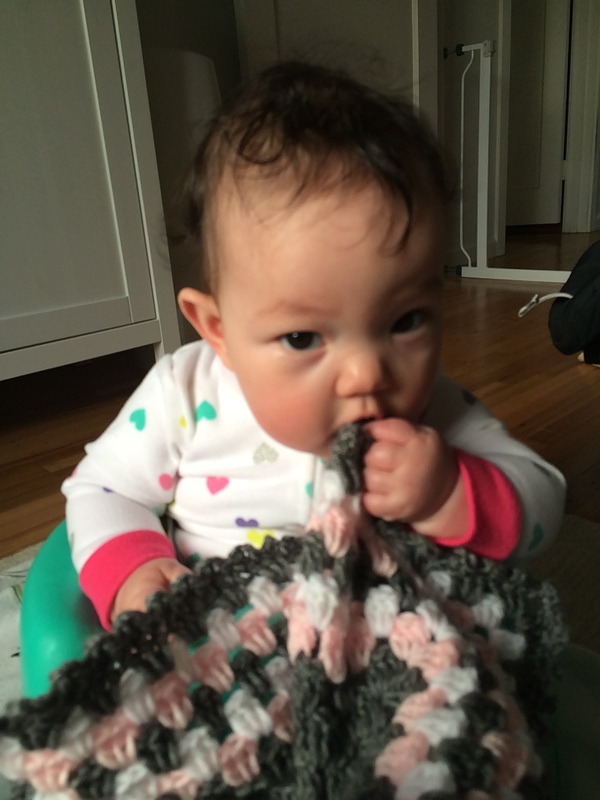 Madeleine approves too!